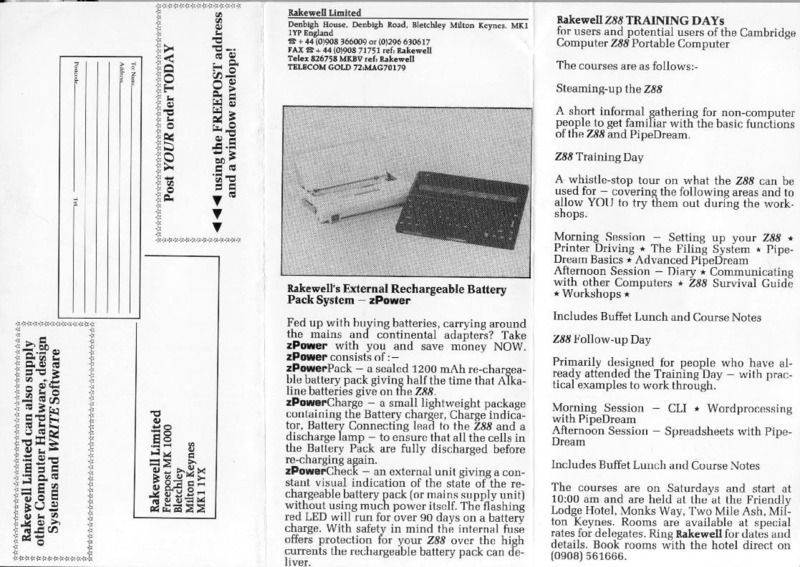 Back in 1988, Rakewell held Z88 Training Days. I have come across the original files and decided to convert them to HTML to put on the web. There is a catch - only Session 1 has been converted so far due to the amount of time it takes, so what I am asking for (if you like this feature) is a donation. Once there is around £50, I'll convert the 2nd section and so on. There are 3 sections in all. I would like to take this opportunity to thank all the people who attended those days and for the fun we all had. 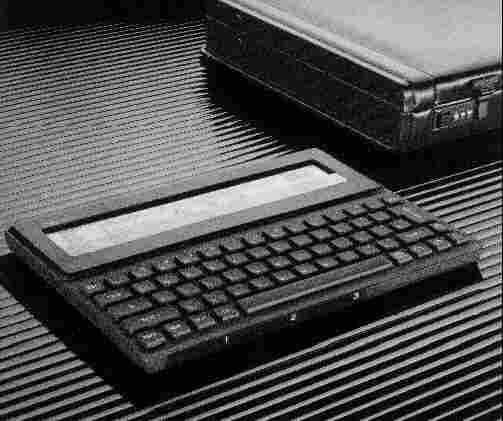 Write down the Version No of your Z88 here. 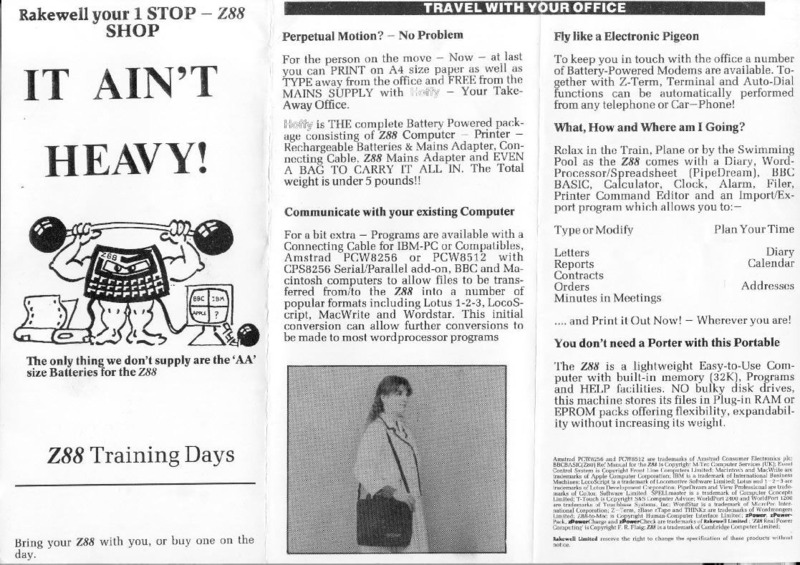 Have you made copies (or BACKUP) of your important files onto EPROMS, zTape or a computer transfer program? If you are unsure what I am talking about PLEASE e-mail me.. These notes are short as there is a lot of ground to cover. ESC - is the PANIC key - it normally takes you back from where you were. MENU - Shows ALL available commands in the Program you are running. HELP - There is only limited help here - just a marketing ploy?